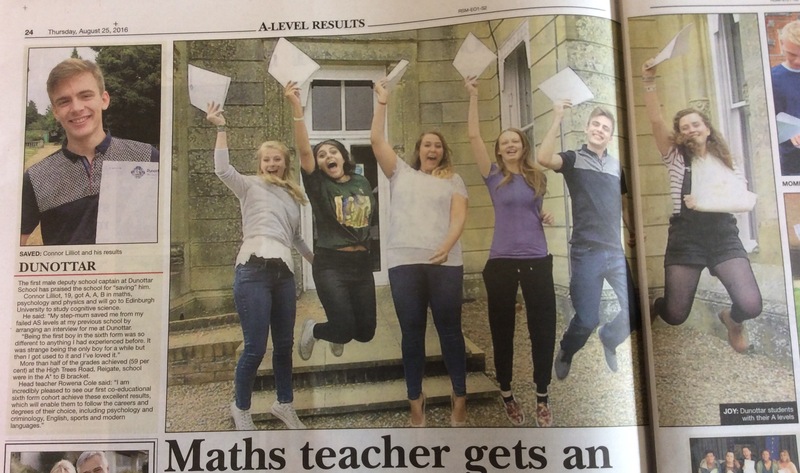 AKS Lytham celebrated its best ever A Level results last week, making it the leading independent school in the county, and GCSE students found out today that they have achieved their own remarkable set of record-breaking statistics. Students and staff at Bournemouth Collegiate School are celebrating their best GCSE results in four years. Students and staff at Walthamstow Academy are celebrating today after receiving another strong set of GCSE results. 67% of students achieved five or more A* to C grades including English and maths. Greenacre School is celebrating the best GCSE results for 5 years with 97% of pupils gaining more than 5 GCSEs at A*-C grades (up from 90.5% last year) 44% of grades at A*-A, 73% at A*-B and 95% of grades at A*-C.
Pupils, parents and staff at Guildford High School are celebrating fantastic GCSE results in 2016. Students at Seahaven Academy are today celebrating their GCSE results, after 46% of them achieved at least five A*-C grades including English and maths. Students and staff at The Hurlingham Academy are today celebrating receiving their GCSE results with a 10% point increase in performance. Year 11 pupils at Dunottar School in Reigate were today celebrating their GCSE success with 95% of grades at A*-C and some pupils gaining full marks in the sciences and religious studies.